In September 1916, tanks were used for the first time in warfare. This forever changed the way that wars would be fought. While we often think of technology firsts these days – from the invention of the internet to the digital camera – the world is filled with new inventions that change the playing field and destroy many businesses that assumed things would never be altered. That’s one reassuring part about self-storage: it is impervious to new invention. Stuff is stuff, and there’s nothing more basic than a 10’ x 10’ room with a roll-up door. Until they figure out how to vaporize items and store them in the cloud (like Star Trek) the storage industry is free from any sudden upheavals. While some people love competition, we don’t. We hate change and we hate risk. That’s why storage is a good place to invest in an ever-changing America. Here’s a perfect storage investment. It’s got everything going for it. Why is it so good? Let’s take it apart piece-by-piece and analyze the various components, and the lessons learned. The first thing that sets this property apart is the entry sign. It’s professional grade and sets a great first impression. Studies have shown that many customers choose where to store their goods based on the sign out front. An old, crude sign sends the message “we are not well-capitalized and will not take adequate care of our facility or your safety”. A fancy sign sends the right message. Have you ever seen a REIT property with a bad sign? We haven’t. This property looks great from the street. It’s got terrific drive-up appeal. How did it achieve it? Whoever designed the exterior façade went the extra mile and put that terrific second story on the wind of the facility facing the street. As a result, it does not look like a self-storage property but rather a nice home. There’s no mystery as to how to get into the property. It has two curb cuts on the main road, and then a well-marked gate at the front. The problem in some facilities is that it’s hard to find the access – either into the property or where the gate is. This property benefits from having street frontage that is on the same level as the entrance, as opposed to having frontage on a freeway that is elevated and leaves you wondering how to get there. Studies have shown that most customers simply want to back up their car or truck to their locker and unload. Multi-story storage properties are not really built that way for the customer’s convenience but more for the owner who is trying to make the revenue numbers tie together. But this property only has the preferred units on the ground level, with direct vehicle access. Because of the complete package of entry and design, this facility just resonates with the feeling of security. Remember that the basic need for storage is to make sure that the customer’s property is safe from theft. So security is one of the most basic drivers in customer selection. There’s more to giving that feeling than simply brighter lighting. That being said, lighting is a significant issue for any customer who wants to access their storage after dark. This property has superior lighting throughout, from the entrance to the roll-up doors. The sign out front also is well-illuminated, which sends a great first impression to customers who drive by at night. This property has superior supervision, which results in full occupancy at market rates. There’s not a a piece of litter on the ground, or a flake of paint on the walls or doors. This sends a clear message to the customer that their possessions are safe and they will be fairly treated. In addition, a well-trained manager greets the customer at the door and virtually assures that every potential customer becomes one. Real estate is all about location, location, location and self-storage is no different. This facility benefits from large frontage and great visibility. With around 10,000 cars passing by each day, it’s a good bet that virtually every potential customer has driven by more than once and knows that the potential is there for them to store their stuff. On top of that, if there ever was vacancy, a large banner would be a very effective marketing tool at no cost (other than getting it printed). This property is inside of an affluent second-tier city with a population over 300,000. Since stats have shown that storage does best in areas of greater density, this market delivers on that requirement, as well as strong economic vitality, which makes materialism (that results in storage) possible. Want to know what the perfect storage deal looks like? Then here’s one. Of course, all that means nothing unless you buy it at the right price. But this has all the right attributes of something that any smart investor would want to own. Management Software - includes a website, recurring billing, reminders and much more. Marketing - increase your visibility on Google and up brand awareness. Call Management - missing phone calls costs you money, Easy Storage can help! Accounting - With industry expertise, Easy Storage can do your books and taxes. Cloud Access Control - Gate and Access has never been more convenient. Choosing from the range of options Easy Storage provides allows you to customize a solution to fit your business and your budget. Visit their website, email them at [email protected], or call 888-958-5967 for a free demo! Be sure to let them know you saw them in the Self Storage University Newsletter! What Are The Economics Of This Type Of Storage Investment? Not all storage facilities are located in big cities. There are also many successful storage investments located in small and medium sized markets. We live in small towns and our local storage facilities are completely full. So what are the economics of these more rural facilities? Calculating the revenue on these type of rural storage properties is pretty straightforward: the number of units times the monthly revenue. Unlike their city counterparts, these more rural facilities typically do not have any ancillary income such as the sales of packing materials or U-Haul rentals. That’s because there is no on-site manager normally, which would be required to add on these forms of revenue. So in this example, we’ll assume that the rent is $100 per month for a 10’ x 20’ unit, and there are 40 of them, so the total revenue is $48,000 per year. These type of storage properties have expense ratios that are typically around 25%, which revolves around utilities, property tax, insurance and repair & maintenance (the owner normally does the management themselves). So given this example, the cost of running the property would be around $12,000 per year. With 75% margins, this sample property would have an annual net income of $36,000 per year. Given the low amount of management effort required (most tenants would rarely cancel their leases), this is a fairly significant income for the time and money invested. Assuming that this property sold at a 10% cap rate (which is fairly standard in many rural markets) that would equate to a total price of $360,000. That’s about right whether you were building this from scratch of buying it from a mom & pop that built it decades ago. While cap rates can go as low as 5% in high-traffic urban locations, the cap rate is much higher away from the big city. A deal like this would have to be financed in one of two ways: 1) seller carry or 2) bank loan. Assuming 70% loan-to-value, that would equate to $108,000 down and a loan of $252,000 at around 6% interest (maybe a little lower right now, but rates are creeping up). The loan would probably be on a 25-year amortization with a five-year term. If it’s seller financing then the deal would be non-recourse and, if bank debt, then probably recourse. Given a $36,000 NOI less the interest on the note of $15,120, the cash-on-cash income would be $20,880, which equates to a cash-on-cash return of 20%. Considering the fact that 3-year CDs are paying around 3%, that’s about seven times more per year. Pretty impressive. And that does not even count the fact that, when the note is paid off, you would receive the full $36,000 per year in your pocket. Don’t overlook more rural storage investments when you are looking for properties to buy. These can often be real sleepers, and the demand for storage is just as strong in many smaller markets. The returns are high and the competition is much lower. There are many great loan products out there for storage investments of $1 million and above. To learn about the options ranging from CMBS to Agency debt, contact M.J. Vukovich at Bellwether. He’s who we use on all of our larger deals, and M.J. has a sterling track record in obtaining great terms for storage investors. So give him a call today at (612) 335-7740 and let him tell you what he can do for your property, or email him at [email protected]. Let him know Frank & Dave sent you for VIP treatment! 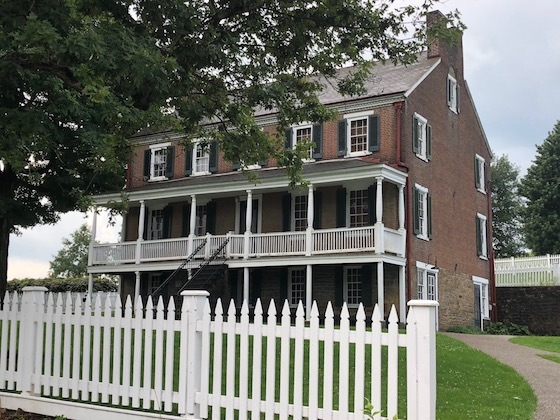 Henry Clay Frick was born in the home shown above in 1849 and was founder of the Carnegie Steel Company – which later became the epic U.S. Steel. Although he built his fortune over 100 years ago, there are elements of Frick’s life that were very advanced for their time and offer some interesting lessons learned. Frick had one basic goal as a young man: to be a millionaire by the age of 30. This seemed a crazy dream in the 1800s, as most people were just barely getting by. But his giant dream resulted in an ambition that kept his tiny company growing. By the time he was 30 he had around 1,000 employees making coke steel from coal utilizing little furnaces. To finance Frick’s venture, he sought out investments from friends and family to build these little furnaces. You can do the same today by utilizing Reg. D 506 structures (which are a special part of the JOBS Act https://en.wikipedia.org/wiki/Jumpstart_Our_Business_Startups_Act ) and by tapping into Self-Directed IRA (SDIRA) funds, which you can convert for around $500. Frick’s little beehive furnaces didn’t make all that much money on their own, but they sure did in a large volume of units. The same can be said about storage facilities. It’s the volume of all those units that creates wealth, but it also gives you a great portfolio diversity, where no one customer has all that much power over you. And you can keep adding on more storage investments over time to increase your volume further. Frick also made money by investing in real estate during this period. He preferred what he perceived of as fast-growing locations in Pittsburgh and Manhattan. This was ultimately another significant source of his wealth. It’s always been a great real estate strategy to buy in growing locations where rents will continually escalate. Frick was a true entrepreneur at a time when most Americans were simply farming. His goals and strategies are very similar to many successful storage investors. 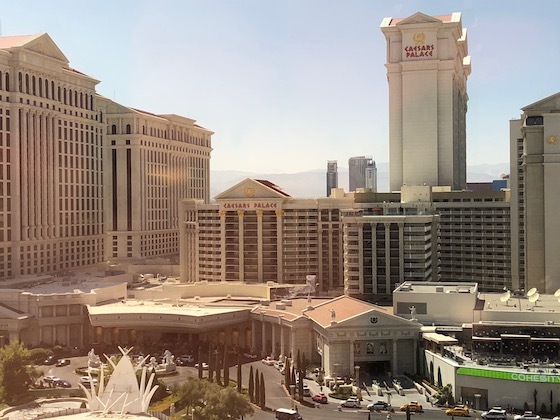 Few people are aware that Caesar’s Palace is in bankruptcy. It been that way for years. While most visitors to Las Vegas prefer the prestige and comfort of this property, the numbers went down the tubes during the Great Recession in 2008. The reason is simple: gambling, dining and hotel rooms are a luxury, not a necessity. And that’s the most dangerous place to invest these days. 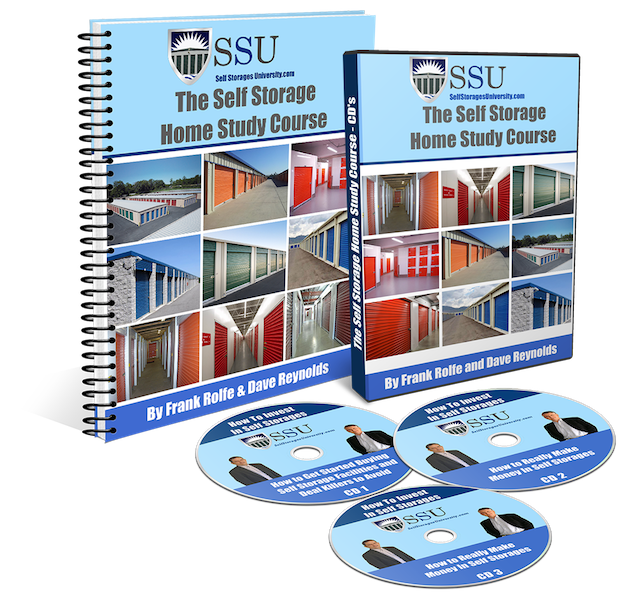 Self-storage, on the other hand, is based on a basic need that is never going to deteriorate. On top of that, the Great Recession proved that storage is a bigger necessity than anyone expected. Occupancy actually increased during this period, fueled by the demand of people who had lost their jobs or homes to safely secure their material goods until they got back on their feet. If you like your investments to succeed in both good times and bad, then stick with basic consumer necessities. And there are few things as needed as self-storage units. 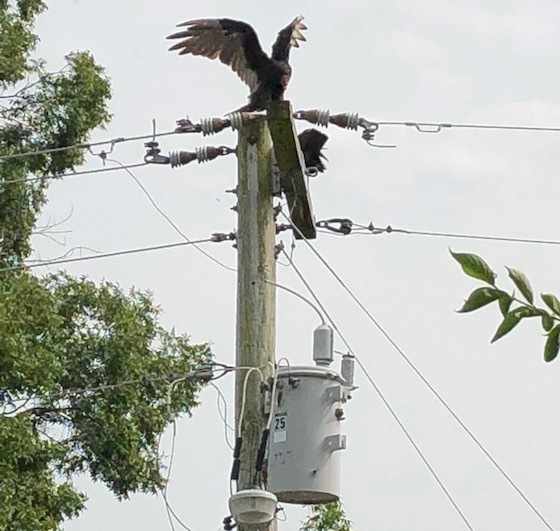 This is a photo of a buzzard on top of a utility pole, waiting to swoop down and attack a dying animal. That’s similar to how property auctions work, where the buyer is trying to gain from the seller’s bad fortune. It’s a great way to buy a storage facility at a low price, but there are certain tips you need to know about buying at auction. The time to do your diligence on a property at auction is before it begins. You have no business bidding if you don’t know anything about the storage facility and everything from its permit to its property condition. The good news is that most auctions provide the basic third-party reports, such as Phase I Environmental, but the bad news is that such vital stats as the market and demand are purely up to the buyer. You should never bid at an auction if you don’t know what your upper ceiling is on pricing. If the storage property is worth no more than $800,000, you have to know that before the auction begins, so you know when to drop out. We call the price that is the upper limit the “walk away price” and that means that you are firm on refusing to bid beyond the economic limits. That’s just good business. Even though you may have an upper price limit in mind, one of the great risks of the auction process is that many bidders become “corrupted” by the excitement of the actual event. Don’t let your competitive nature get the better of you. And also remember that you have to post 10% of the price on the day you win the auction, and the other 90% typically within 30 days. If you fail to walk in with the money on the 30th day, you typically lose your 10%. Because of the stress of losing your 10% deposit, you should not bid at the auction unless you know where the financing will come from. You should already have a bank in mind and hopefully a relationship already. Getting a loan done in 30 days is risky enough even if you already know who the lender will be. Buying properties at auction is a great way to get some unbelievable deals on storage facilities. But follow these tips to have a better outcome and less stress in the process.